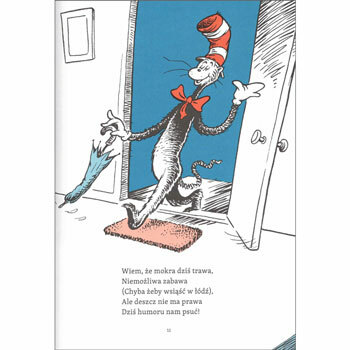 The legendary character created by Dr. Seuss is well known to American readers, and thanks to the excellent translation of Stanisław Barańczak, he has the chance to entertain Polish children as well. The Cat shows up at the house of Sally and her brother one rainy day when their mother is away. Despite the repeated objections of the children's fish, the Cat shows the children a few of his tricks in an attempt to entertain them. In the process, he and his companions - Thing One and Thing Two - cause havoc and wreck the house. The children and the fish become more and more alarmed until the Cat produces a machine that he uses to clean everything up and disappears just before the children's mother comes home. 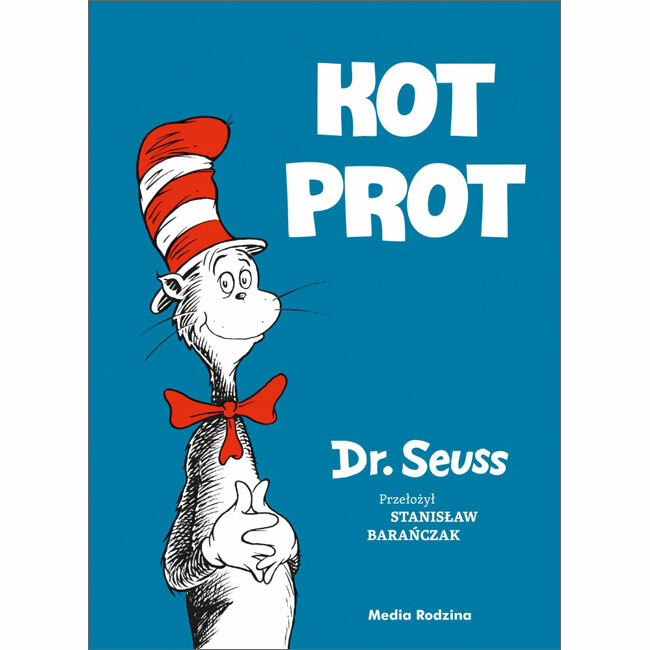 Kot Prot is written mainly in Polish as it is aimed at native Polish speakers. A supplement at the back of the book shows the original text of this story in English.